This Vantage II Stand is designed to power-up and protect mobile phones and tablets. 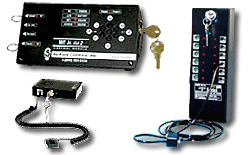 It can be used with one of the many Se-Kure Controls Alarm Modules. It was designed to display, power and protect small electronics such as mobile phones and tablets. 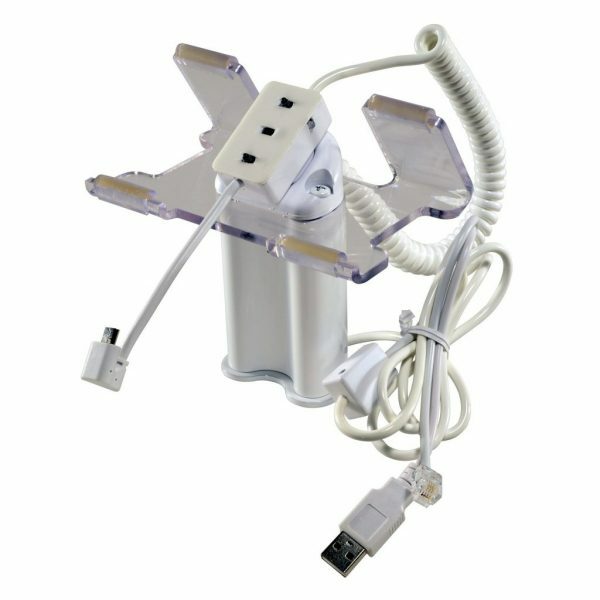 It has a tablet stabilizer to enable contact while maintaining its position and a micro mini USB power adapter. It is available in a variety of heights and colors to allow you to custom design your display. It include 5v of power pass thru. 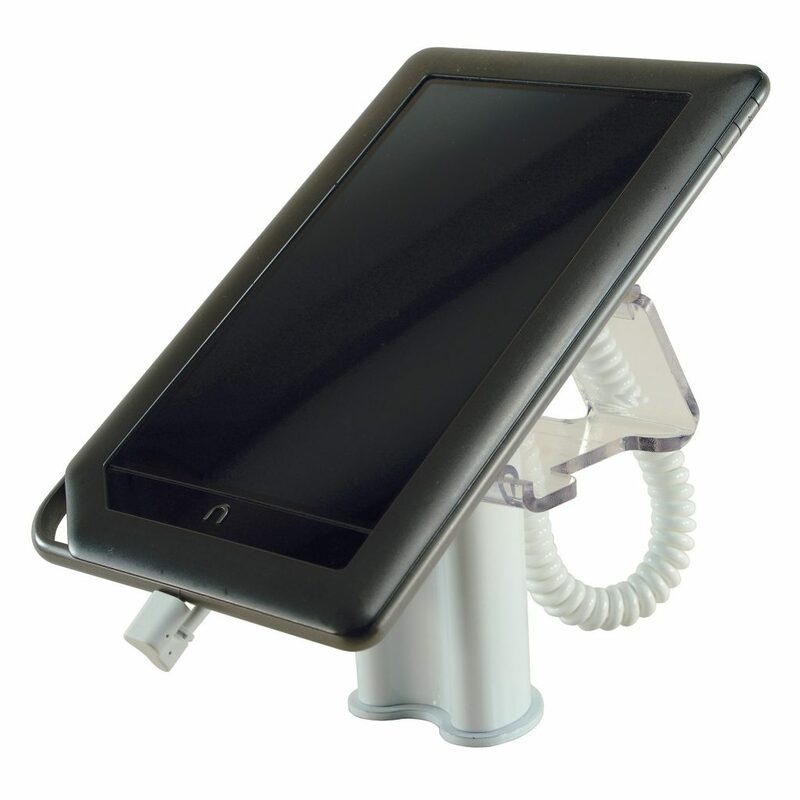 Available with Grippers, tablet stabilizers and different base configuartions. The self-centering sensors allow pivots to portrait or landscape positioning. 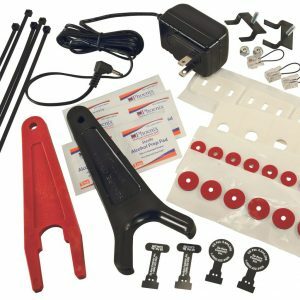 These stands are simple to install and easily maintained and work seamlessly with any of our alarm modules. Height is 4". Tube is 2" Wide and 1-1/2" Deep. Color is white. Metal base plate is 2-1/4"W x 1-3/4"D. Pem studs are 1-1/4" long, 1/4-20.